Kris D. Gutiérrez is Professor of Language, Literacy and Culture in the Graduate School of Education at the University of California, Berkeley. She was professor or Learning Sciences/Literacy and the Inaugural Provost’s Chair, University of Colorado, Boulder and Professor Emerita of Social Research Methodology at GSE&IS at UCLA. Professor Gutiérrez is a national leader in education, with an emphasis in literacy, learning sciences, and interpretive and design-based approaches to inquiry. Gutiérrez is a member of the National Academy of Education and is the Past President of the American Educational Research Association and the National Conference on Research on Language and Literacy. 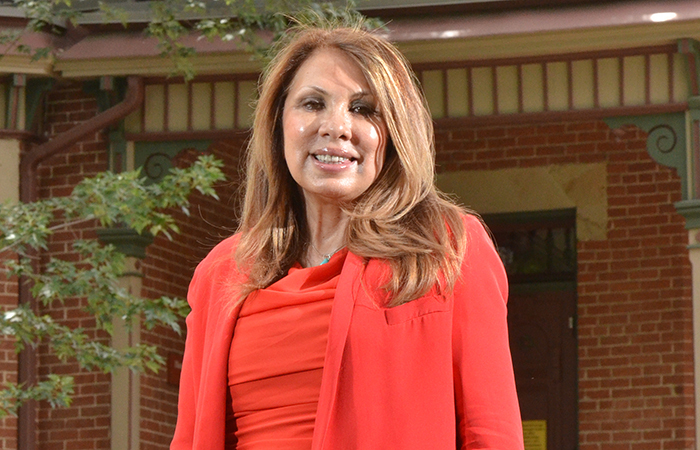 Gutiérrez was appointed by President Obama and confirmed by the U.S. Senate as a member of the National Board for the Institute of Education Sciences where she served as Vice-Chair. Her research examines learning in designed learning environments, with attention to students from non-dominant communities and English Learners. Her work on Third Spaces examines the affordances of hybrid and syncretic approaches to literacy, new media literacies, and STEM learning and the re-mediation of functional systems of learning. Her work in social design experiments seeks to leverage students’ everyday concepts and practices to ratchet up expansive forms of learning. Professor Gutiérrez’s research has been published widely in premier academic journals and is a co-author of Learning and Expanding with Activity Theory.